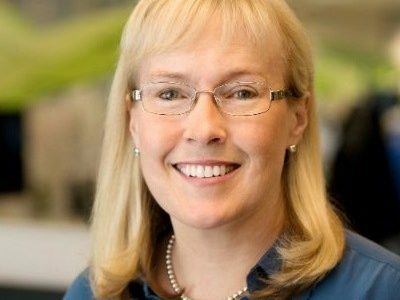 For the fourth installment of The CFO Journal we talked to Jennifer Ceran, CFO of the project management giant Smartsheet. She shared insights on investing in operational excellence, going public, and her experience as a female executive. Where: Smartsheet is an enterprise SaaS platform for managing and automating collaborative work. The company, founded in 2005 in Bellevue, Washington, now has offices in Boston and Edinburgh. With more than 15,000 projects launched daily and customers like Netflix, Hilton, Bayer, and HP in 190 countries, Smartsheet has grown significantly and rapidly. The company was chosen as Washington’s Best Workplace by Puget Sound Business Journal in 2017, named to Forbes Cloud 100 list in 2016 and 2017, and included in Deloitte’s Fast 500 list for 2018. Smartsheet went public in the spring of 2018. Qualifications: A bachelor’s degree in Communications from Vanderbilt University and an MBA from the University of Chicago Booth School of Business. Jennifer was included in Treasury and Risk Magazine’s list of “100 Most Influential People in Finance” from 2006-2009, and was ranked the #1 Investor Relations Professional in Internet by Institutional Investor in 2012. She has nearly 30 years of experience in both private and public companies, in the United States and abroad. Formerly: Director of Global Cash Management & Payments and Director of Corporate Finance at Cisco; VP Treasurer, VP Corporate FP&A, and VP of Investor Relations at Ebay; VP Treasurer and Investor Relations at Box; CFO at Quotient Technology Inc.
1. To start, what are your primary responsibilities? What is your day to day like and how has that changed over time? I am responsible for overseeing Corporate IT and Finance, which includes Financial Planning, Accounting, Procurement, Investor Relations, Tax and Treasury. I spend my day doing three primary things. First, helping to ensure the business has the capital and other resources it needs to build and support great products and services for our customers. Second, supporting our internal team so as to minimize friction in execution. This can include helping them solve a problem, ensuring they have the right technology to do their work, helping them recruit for talent, and helping them weigh the pros and cons of a strategy or decision. And finally, monitoring how we are executing versus expectations and our market opportunity. My team and I asses and recommend opportunities to improve and ensure the capital we deploy delivers the expected financial returns for our shareholders over time. We became a public company in April of this past year, so I spend more time today reporting out on our quarterly financial results and meeting with public company investors. 2. What would you say is the greatest internal and external challenge you and your team are facing right now? I would not call it a challenge, but rather an opportunity. We have experienced rapid growth and with growth comes the need to scale processes. We’ve done a reasonably good job thus far, but there is always more work to do. Last year, I focused on building the right team and implementing important processes needed to operate as a public company, like the quarter-end close and financial reporting process. This coming year, we are investing in improving our performance so that our engineering team can build products faster, our sales team can close deals more quickly, and our team as a whole can serve our customers better. In a nutshell, it’s about operational excellence. 3. Smartsheet is changing how people and teams work, and the nature of collaboration. Has your experience at Smartsheet changed the way you work collaboratively, or the way you manage your team? Absolutely. We get the same benefits internally as our customers do with the platform. Smartsheet’s work management platform enables teams to work collaboratively. We get to fully leverage the benefits of that and it’s an important part of our company culture. Another example for me is my CFO dashboard. It easily links to other dashboards and worksheets within Smartsheet, as well as systems like Salesforce and Jira. I can see what’s happening in the business in real time, where bookings are, how much cash we’ve collected, how many procurement contracts we’re working on, and where the contracts stand in the process. Many of our workflow approvals are enabled in Smartsheet so it’s easy to see who has approved what and when. Automating more of my day to day allows me to focus on what matters – solving problems and moving the business forward. 4. What has your experience been like as a female executive? I’ve had a very fulfilling career and feel lucky to have worked with many inspirational, smart and supportive colleagues, both male and female. I have never felt limited in what I can accomplish because I was a woman. I attribute this, in part, to being careful about picking the right cultures with great values where I can thrive and do my best work. On a few rare occasions, I have had to deal with some adversity in the workplace. It’s tough because it can be disheartening to experience and often harmful to the organization. But it does not deter me from going after my dreams and goals. Instead, it makes me even more determined to overcome the challenge and move forward. 5. Finally, what is something you’re excited about in the coming year? I am excited about continuing to add new features and functionality to the Smartsheet platform that give our customers more powerful ways to make work easier, with better execution and outcomes. I’m excited to watch the evolution. Thinking back to 1985, when I first started working, I had no computer, no helpful software applications, no email, no cell, no mobile capabilities, and no texting. This made collaboration very challenging unless everyone was sitting in the same room in the same building. It is amazing how far we have come, and I suspect we are still only in the early days of the next wave of digital transformation. It’s not just an increasingly mobile workforce that drives the work management imperative behind companies like Smartsheet. The very nature of said work, of projects, and of shared responsibility also contribute. 77% of businesses report an increase in the number and scale of their projects, and say that these projects are more distributed. All types of knowledge workers are becoming project managers, whether they officially hold that title or not. This has created a demand for collaboration, flexibility, and transparency, whether within the same office building or across continents. The response has been a seemingly endless variety of user friendly tools offering employees quick access to shared files, data, and information on what other team members are doing. Many of these tools also integrate with other apps, an essential feature when most employees use anywhere from 5-15 apps a day. Aside from Smartsheet, readers are probably familiar with competitors like Wrike, Zoho Projects, Basecamp, Asana, Trello, Jira, Scoro, and Airtable, among many others. The competition is stiff. Recently Asana raised $50 million in series E funding that valued the company at $1.5 billion. Facebook CEO Mark Zuckerberg is an investor. Airtable, which is most similar to Smartsheet in the sense that it is spreadsheet based, also secured $100 million in series C funding, and a $1.1 billion valuation. Airtable counts serial entrepreneur Howie Liu among its founders. Smartsheet, despite a shaky autumn, is trading well above its impressive opening value, and has been valued at $852 million. In general, enterprise tech IPOs are having a moment. More of these vendors have gone public in 2018 than any other year in the recent decade, and all but one have priced in-range or above. Investors have rewarded these IPOs, and are expected to continue to do so as more companies realize the importance of collaborative work management.